Having served women with the best of health and fitness from all over the globe and being recognised by Forbes, thrice among the Top 100 Websites for Women, Women Fitness finally launched an exclusive Digital Magazine in November 2017. After receiving some amazing and ravishing reviews for the Women Fitness Digital Magazine, it has led us to ultimately launch our Print Magazine! This one-of-a-kind magazine is truly going to be a fit-lacious ride for all those of you who are self-proclaimed fitness enthusiasts and lovers! 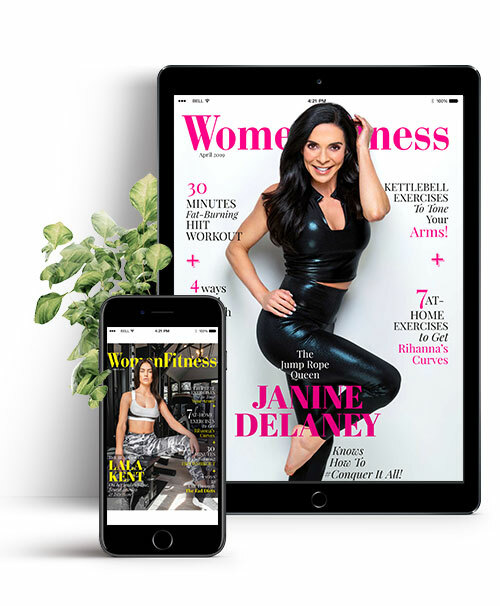 For our bimonthly magazine, we at Women Fitness, work earnestly to get to you the most up-to-date and authentic stories and information packed in the most interesting and attractive ways. The most fit and inspirational females from media, movies, sports, fashion, beauty and entertainment, get raw and real as they share their personal fitness, transformation and health journeys, which would inspire you, motivate you and force you to get up and do something to be the best. Women Fitness is published by www.womenfitness.net 6 times annually. Your first issue mails in 4-8 weeks. Frequency of all magazines subject to change without notice. Each issue is a double issue. Why People Love The Women Fitness Magazine? “I found out about Women Fitness through one of my social media sponsors who subscribes to the magazine. He loved the content and told me I should check it out. I am so glad I did! The magazine has so much useful information in a great variety of topics. I can’t wait to contribute and share with my followers! I know they will appreciate everything they can learn here”.